This is great to do as a class project! You can then incorporate a writing activity with it also! 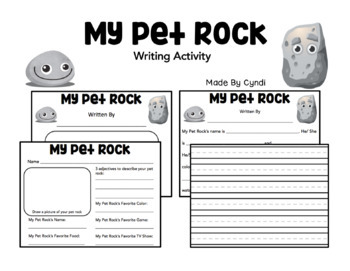 Students will love bringing in their decorated pet rocks. They will also enjoy writing about them and giving them personality! Enjoy this product and please leave me some feedback! I would truly appreciate it! Thank You!